Crochet is a process of creating fabric from yarn, thread, or other material strands using a crochet hook. 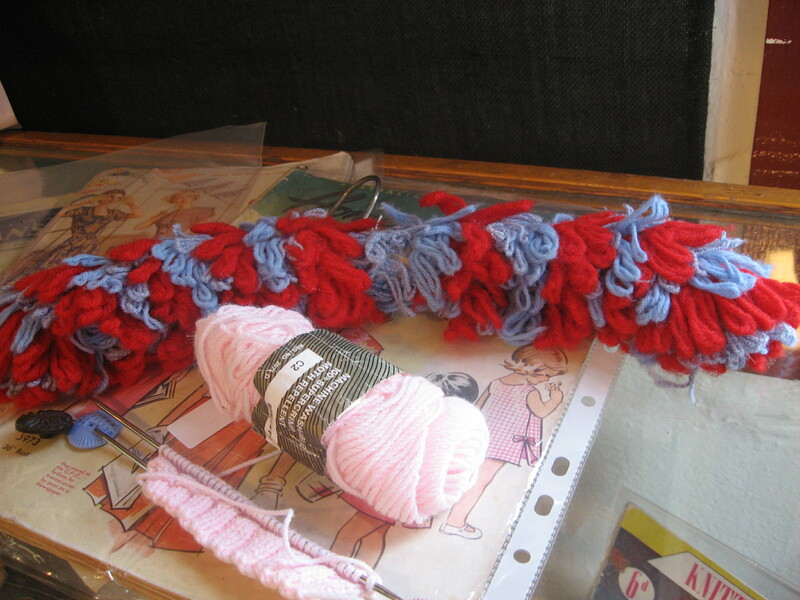 The word comes from the French word “crochet”, meaning hook. 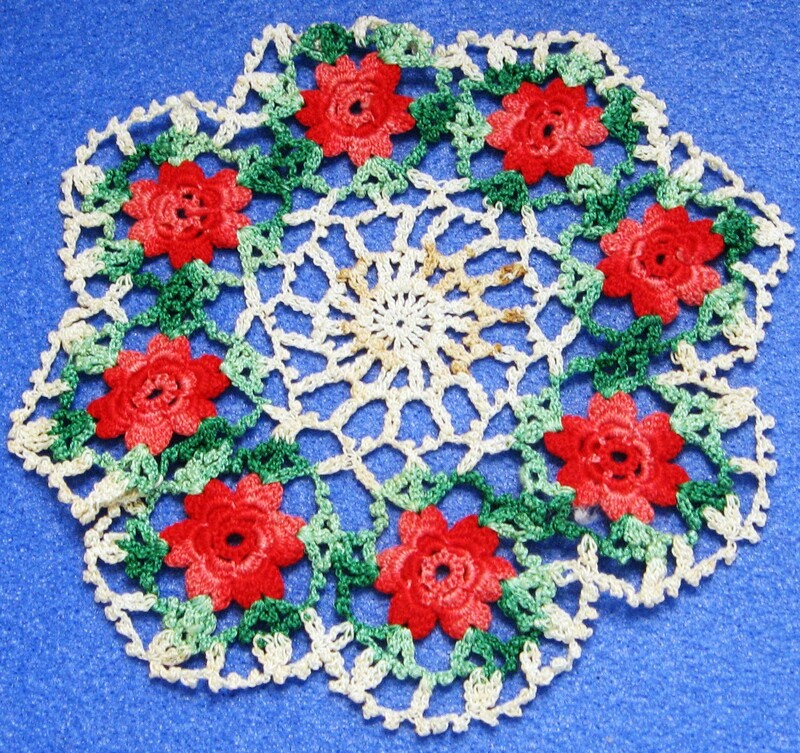 Typical items that are crocheted include: doilies, potholders, coat hangers and other home items. There’s also the kind like my grandmother did, and not surprisingly known as “granny squares”, a motif worked in the round and incorporating bright colors. Examples of this form can be found in my ‘I love knit wits’ post. Here we have (above) an example of crochet coat hanger, and below, a crochet doily. For other examples of doilys and embroidery, see my Textiles page. However, for all you mathematicians, or if you want to ‘get technical’, crochet patterns have an underlying mathematical structure. The pattern is created by the regular presence or omission of stitches; and is the very essence of this art form. For example, if the present stitch is like a “1”; then the missing stitch is like a “0”. This entry was posted in StreetArt. Bookmark the permalink.